How long does a jar of Wellsprings cream last? 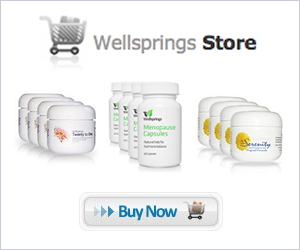 How should I be using Wellsprings creams if I have had a hysterectomy? Hundreds of thousands of women around the world use Wellsprings progesterone creams to gain relief from the symptoms of menopause and other hormone problems. Applying a double dosage of cream for the first month of application will kick start hormone balance and accelerate symptom reduction. This means 1/4 teaspoon instead of 1/8th teaspoon per dose if applying from a jar or 6 pumps per dose instead of 3 if using our pump bottle. Wellsprings cream should be applied morning and night. Placing the jar beside your bed is a great way of reminding yourself to start and finish your day with your dose of cream. Alternatively keep your jar next to other products you use night and day such as your toothbrush or a day and night face cream. It can take a month before symptoms improve so don’t give up if you there’s not an immediate improvement. While some women feel immediate benefits others report no difference for the first few weeks only for the full benefits to kick in in week 4 or 5. If you apply the cream in the same place every time that spot will become saturated with natural progesterone reducing absorption and diminishing effectiveness. To avoid this make sure you apply to both a thin and fatty tissue area each day. You will find a suggested routine here: http://www.bio-hormone-health.com/2016/10/24/a-simple-weekly-routine-for-applying-hormone-creams. Some women find that applying a small dab to the inside of their wrists can help relieve a hot flush when it comes on. Give it a try!